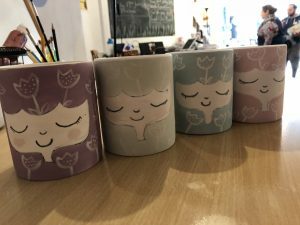 Join us for a lovely evening of pottery painting. Choose your pot from our wide selection and just pay for what you paint. 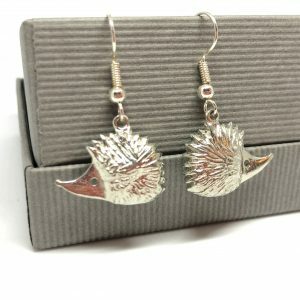 Prices start at £5 per item. Booking is essential. Please contact The Craft Collective to book your place. A £5 deposit secures your place and will be deducted from your painting on the night. 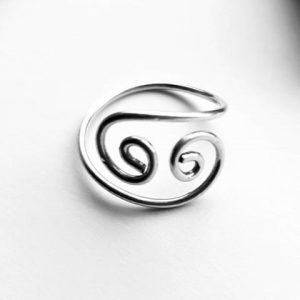 Learn how to create a selection of beautiful rings from copper and silver plated copper wire. Rings, beaded bracelets, earring hooks etc.. 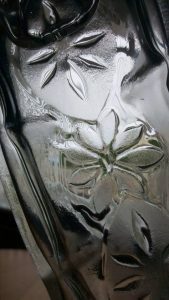 Learn how to creatively carve your own design and have it slumped into a bottle in this fantastic new workshop with award winning glass artist Lisa Macfarlane. This workshop costs £20 which is payable at the time of booking to secure your place. As with all glass workshops, please wear closed toe shoes. Meeting even week we will work together to learn different techniques and to develop our skill, working at your pace and covering the areas your interested in. £40 per person, all materials provided. 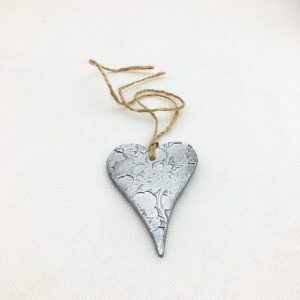 Learn how to create beautiful jewellery and basic skills from silver plated copper wire. 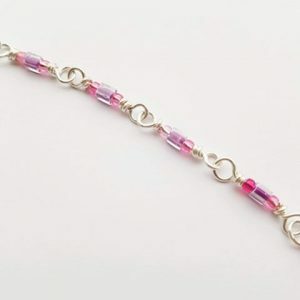 Beaded bracelets, earring hooks etc..
Booking is essential. Please contact The Craft Collective on 01209313818 to book your place. Full payment must be made to secure your booking. Create your own needle felted bird in this fabulous workshop. 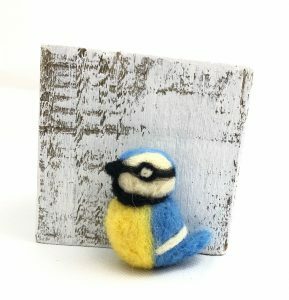 Learn all the basic techniques you need to be able to create a range of needle felted creations and take home your bird as well as all the materials to make two more! Booking is required and full payment must be made in order to secure your place on this workshop. Please call The Craft Collective on 01209 313818 or pop into the shop to book. 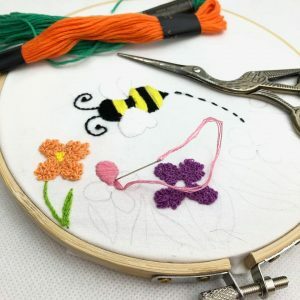 In this two hour session you will learn how to use an embroidery hoop, what materials you can embroider onto, tricks on threading your needle and knotting your thread and how to transfer designs. You will also learn basic embroidery stitches such as satin stitch, back stitch, split stitch, french knot! You will leave with your hoop, needle threads and the start of your first piece of embroidery. Booking is essential, please contact The Craft Collective to book your place. Full payment must be made to secure your place. 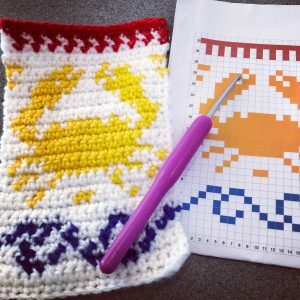 In this brand new workshop you will be guided by our resident crochet expert in the art of crochet fair isle. Learn how to colour change, read pictorial patterns and much more in the creation of this seaside themed cushion cover which you can complete at home. Booking is essential, please contact The Craft Collective on 01209 313818 to book your place. Full payment must be made to secure your place. 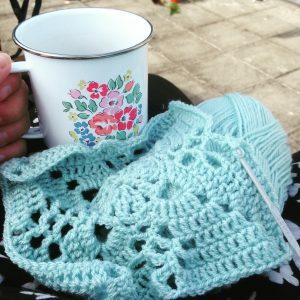 Learn to knit in this three week course. Each week we will tackle a different aspect of learning to knit. Week 3: Tuesday 18th June – Techniques and more! Booking is essential and a £20 deposit must be paid to secure your place as spaces are limited. To book please call 01209 313818, send us a message or pop into the shop. £45 per person, all materials provided. Booking is essential due to limited places. A deposit of £20 must be paid to secure your place on the course. 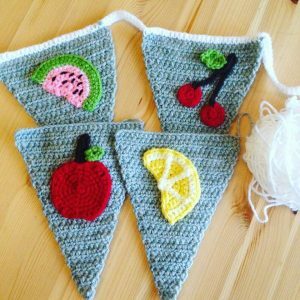 Learn how to crochet amazing bunting for your home! You must be able to understand the basics of crochet to attend this course. £15 per person, all yarn and patterns supplied, you will need to bring your own hook. Booking is essential. Please contact us on 01209 313818 to book you place. Full payment must be made to secure your place on this course. 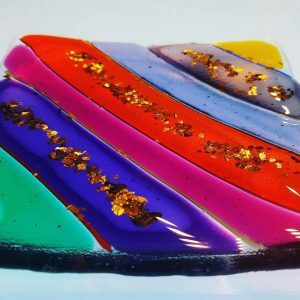 This fun 3 hour workshop run by award winning glass artist Lisa MacFarlane all take you through the process needed to create a fused glass bowl using glass fusion. As with all glass workshops please ensure you are wearing closed toe shoes for health and safety reasons. Booking in essential. Please call 01209 313818 to book your place. £20 deposit is payable to secure your place on this workshop. 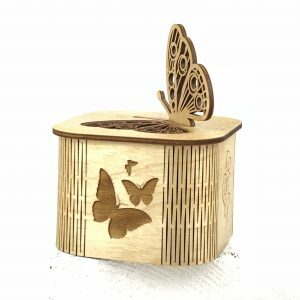 Pyrography; the art of decorating wood or other materials with burn marks. Come along to this two hour taster session into wood burning. 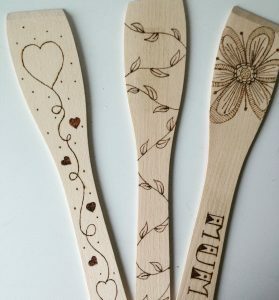 You will be given wood to practise on and a selection of wooden spoons and spatulas to decorate in images of your choosing. Be as simple or artistic as you want. Booking is essential. Please contact The Craft Collective to book your place. 01209 313818. Full payment must be made to secure your place. 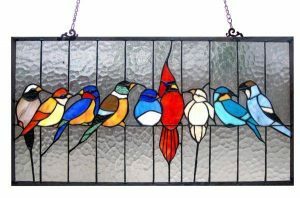 Award winning stained glass artist Lisa MacFarlane is running this amazing stained glass workshop. 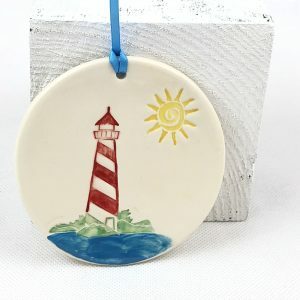 In one day you will recieve all the tuition and materials you need to create your own stained glass decoration for the home. Please ensure that you wear closed toe shoes for this workshop and bring with you a simple idea to turn into your stained glass piece. Booking is essential and full payment is required to secure your booking. Please contact The Craft Collective on 01209 313818 to book your place or call into the shop. must be paid to secure your place on the course. 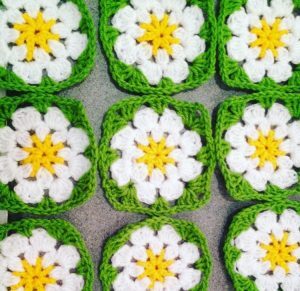 Learn how to crochet this beautiful daisy blanket in this two week course with Annie in the first of our beyond beginners classes. You must be able to crochet treble stitch before this class. Suitable for beyond beginners. £30 per person, all materials included. Booking is essential. Please contact The Craft Collective on 01209 313818 to book your place. Full payment must be made to secure your place on this course. 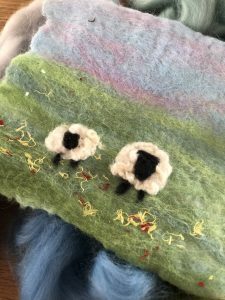 Learn all about the art of wet felting in this fabulous beginners session. 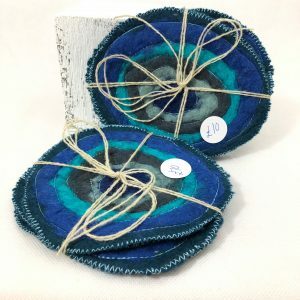 Create your own piece of felted material using traditional techniques from a selection of roving wooll and then go on to turn it into a stunning wet felted picture with needle felting techniques. £25 per person, all materials included. Booking is essential. Please contact The Craft Collective to book your place on 01209 313818. Full payment must be made to secure your booking. 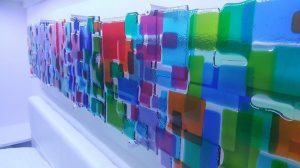 This fun 3 hour workshop run by award winning glass artist Lisa MacFarlane all take you through the process needed to create a stunning, 12cm x 12cm, piece of fused glass art for your wall using glass fusion. Spend an evening with Annie learning the basics of the fair isle knitting technique. Learn how to read patterns, follow charts and carry your yarn over at the back of your work. 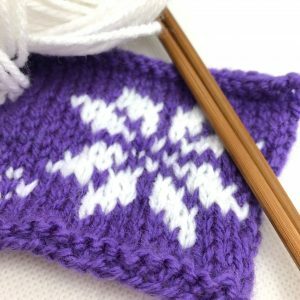 In this session you will create a small swatch of fair isle knitting and take home a pattern for your first Fair Isle project. £20 per person, all materials included. Booking is essential. Please contact The Craft Collective to book your place on this workshops. Full payment must be made to secure your place. 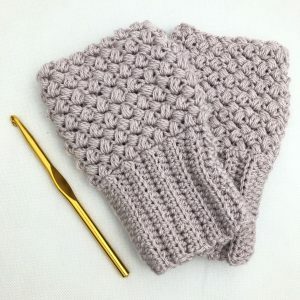 Get ahead of the winter rush to hook up some mittens and get to grips with this super easy beyond beginners crochet session. 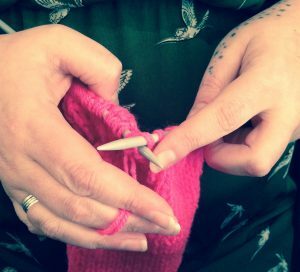 In this session you will learn how to crochet your very own pair of mittens, learning a brand new stitch and take home the pattern and yarn to complete your mittens. Students must be able to to the Double and treble crochet stitch. Suitable for beyond beginners. £20 per person, all materials supplied. Booking is essential. Please contact The Craft Collective to book your place. Full payment must be made to secure your booking. 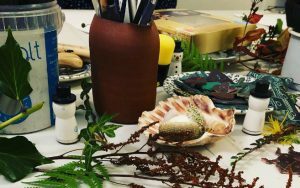 Join us each Wednesday at 6pm with your own creative project to drink tea and chat. On the last Wednesday of the month we host Make It night where we can learn new skills and have a go at different projects.